Our challenge: This large services company had three similar but distinct clients. This project aimed to combine all three clients' services into a single model using user-centred design techniques. This service company's three clients all had similar aims but different processes. Our client required them to be combined into a single platform to reduce overall cost and increase efficiency. Our job was to elicit the processes (digital and real-world) from all three and combine them into single journeys. To do this, we engaged subject-matter experts from the clients with regular workshops to elicit their separate processes. The hard work began by trying to combine these collaboratively with the SMEs. Some of these processes were very complicated indeed and required cooperative work with many people and real-world services (like sending appropriate letters at the correct point, booking travel and accommodation). 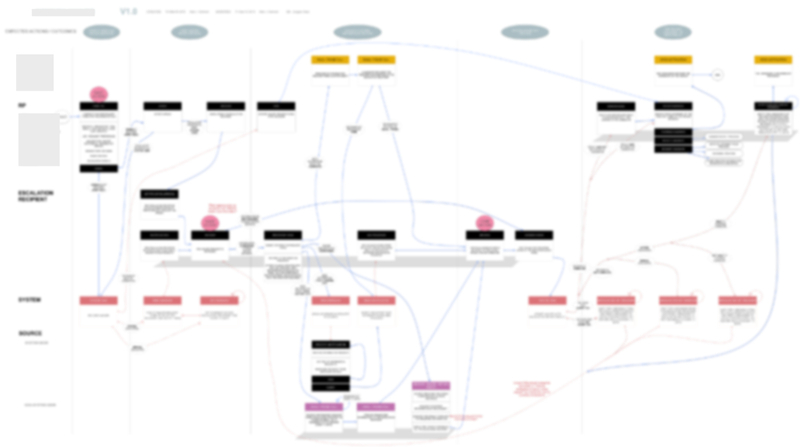 Once we'd validated our workflows with the SMEs, the stakeholders and the end-users, we documented them in exhaustive detail just like above (using Omnigraffle). This is one of the more complicated processes but illustrates the level of challenge we faced. The workflows were passed off to our client's UI designers who created wireframes ready for development. 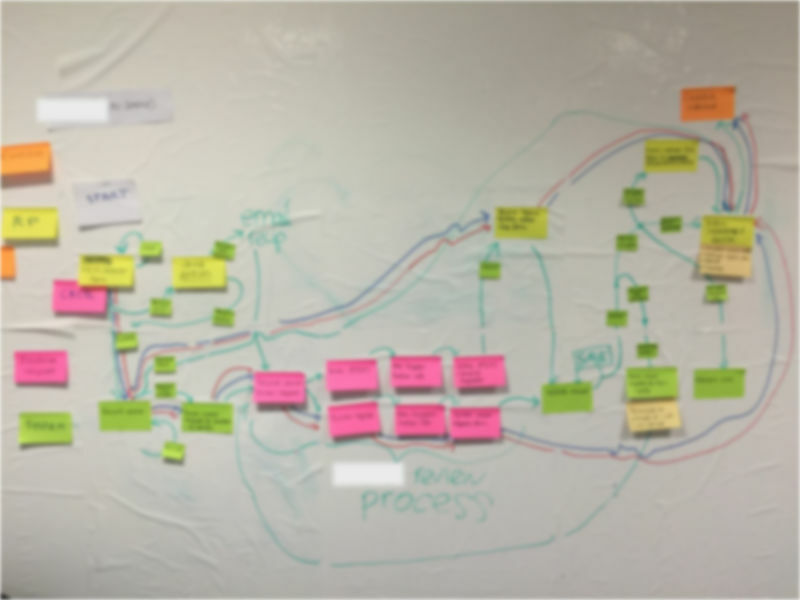 Our workflows also enabled the development teams to begin initial scoping and estimate work accurately for project management. Need a consultant to do some UX work for you? Fancy being audited against ISO 9241-210? Want an official qualification in UX? We can teach the British Computing Society's foundation certificate in user experience. Fancy a few hours learning some new UX skills? We offer workshops on a range of subjects. HCI and UX courses for further and higher education sectors. Here are some cool tools to help get your UX job done. Whether card sorting without recruiting participants, or measuring people in detail, see what we have to offer.